This April a painter and a ceramicist bring together a body of work that is inspired by the Central Australian landscape, and the colours of the outback. The result is a strikingly evocative show which distills the essence of place into works of abstract expressionism and minimalist aesthetics. 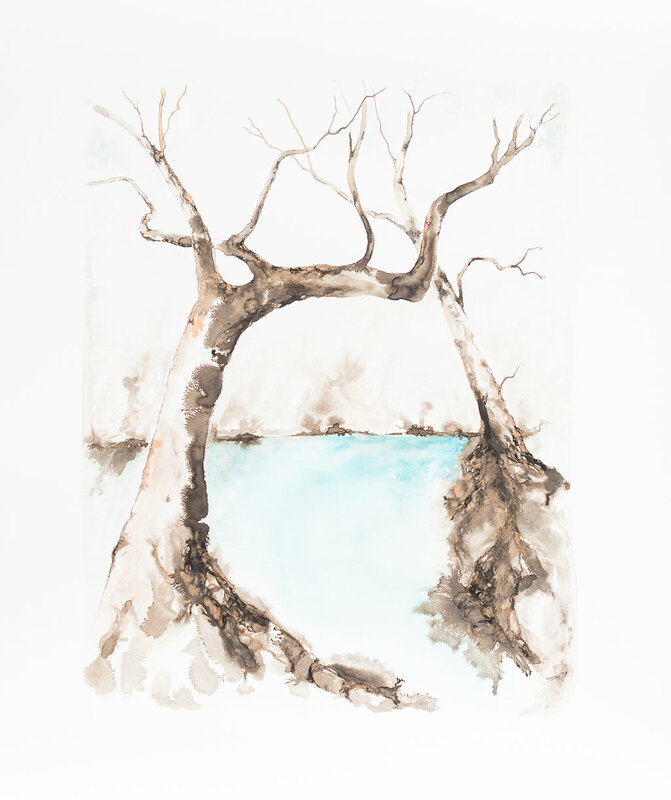 INGRID BOWEN is a Northern Sydney based landscape artist practising in watercolour and mixed media traditional and contemporary techniques. Drawing on how place is linked to memory and imagination, Ingrid Bowen’s works tell a visual story of landscapes lost and longed for. 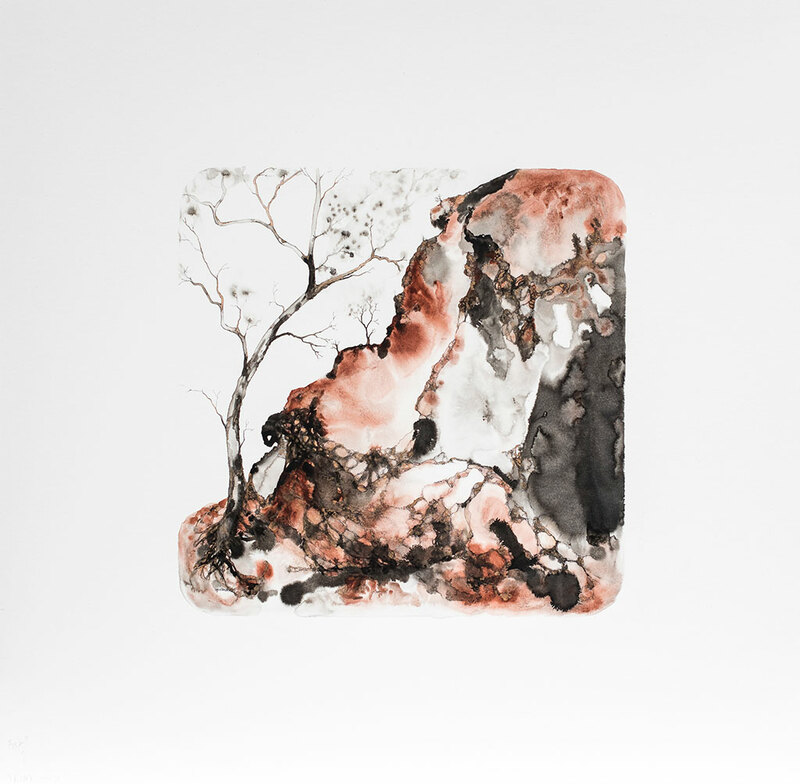 Ingrid works with watercolours and inks on cotton rag board, evoking the colour, form and feel of her natural surroundings to create ambiguous landforms and fragmented perspectives. The meditative rhythms of her compositions are played out in details drawn in and out of focus from observations and recollections. “I first visited Central Australia as a child in the 1970s. The photos from those days were small format, square with rounded corners. They are a little faded and washed out – which in some ways reflects the intensity of the searing sunlight in the desert. Revisiting the area, I’ve been able to form new memories and observations to build on those early ones. Those memories were confused and fragmented, tainted with misinformation yet remarkable in perspective and scale. Sheer vast distances and monolithic rock formations, naive glimpses and sad stories of cultural loss. 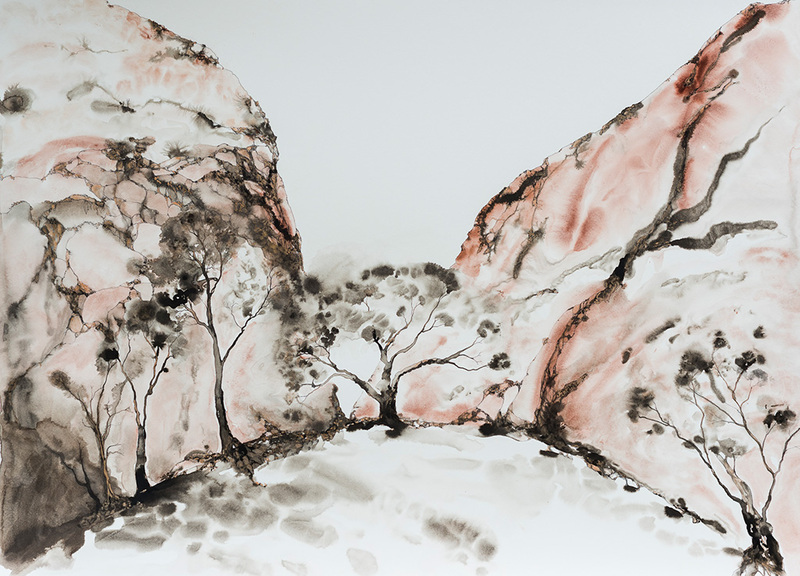 Quint/essence looks to present an impression of landscapes in the West MacDonnell Ranges. A personal study of the forms and feelings of that land, as a visitor. The stillness in Central Australia envelops and the rarified light overwhelms, whilst laying bare the ancient and majestic beauty of the land in a challenge to engage with its otherworldliness”. 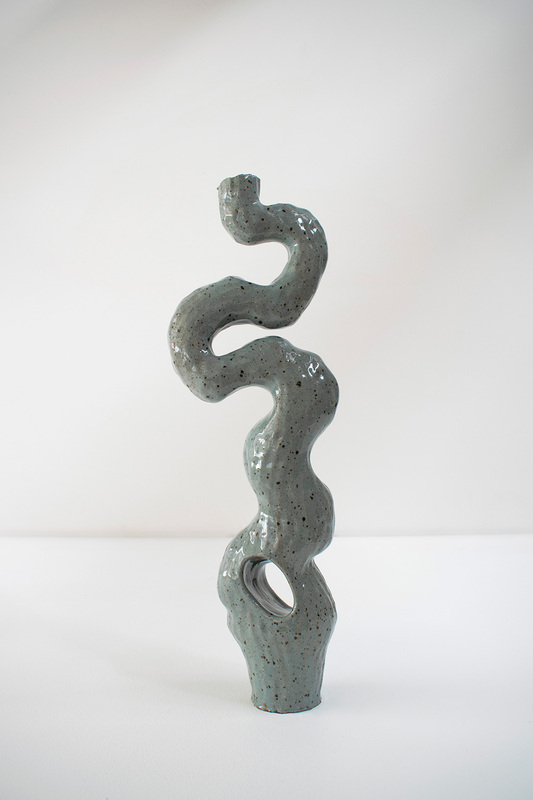 KERRYN LEVY is a South Australian ceramic artist using traditional hand-building techniques Kerryn makes sculptural vessels reminiscent of human, animal and botanical bodies, that nestle and dance with one another when paired or grouped, their surfaces designed to reflect the colours and textures of the Australian landscape. 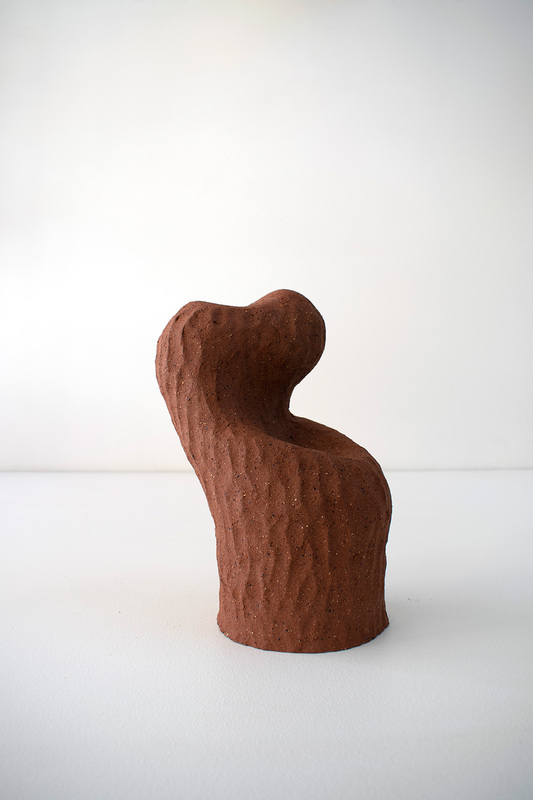 Patterns form naturally on the surface of the clay, created by finger marks and traces of the making process, providing a visible representation of the relationship between body and earth. 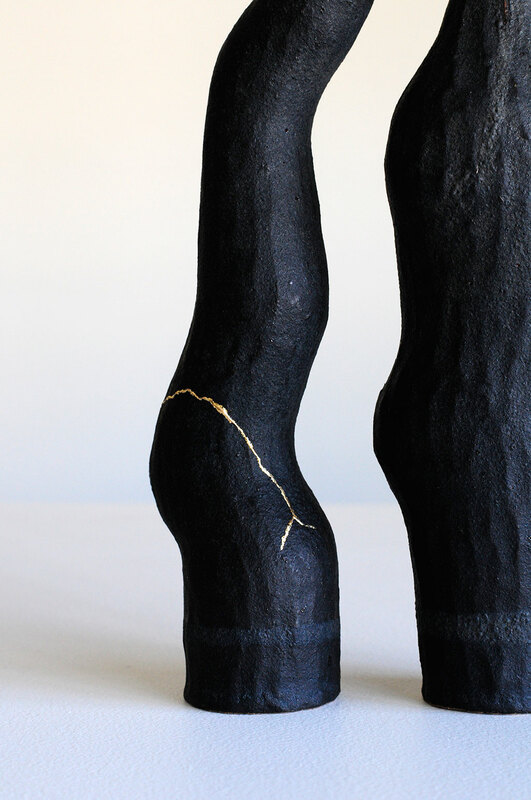 These objects have an inherent connection to the human body that formed them and the landscape whence they came. 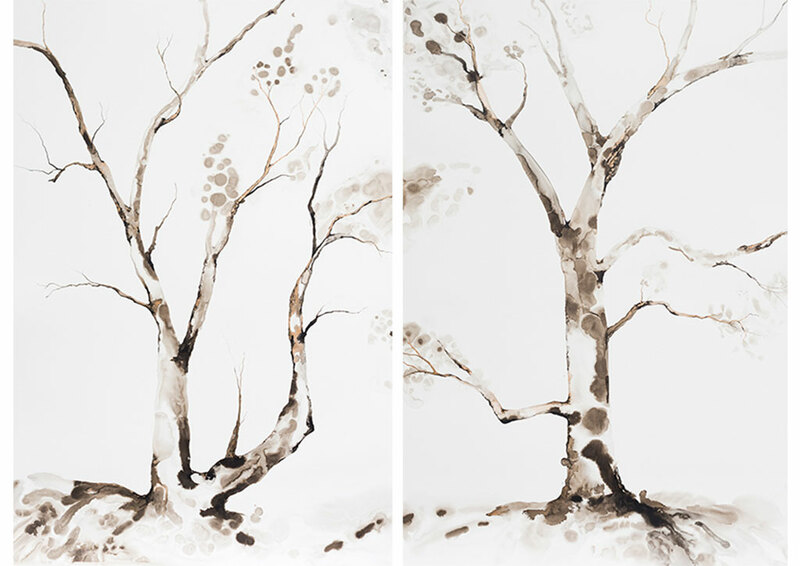 “The ‘Quintessence Series’ was made in response to Ingrid Bowen’s explorations in paint of the central Australian landscape. 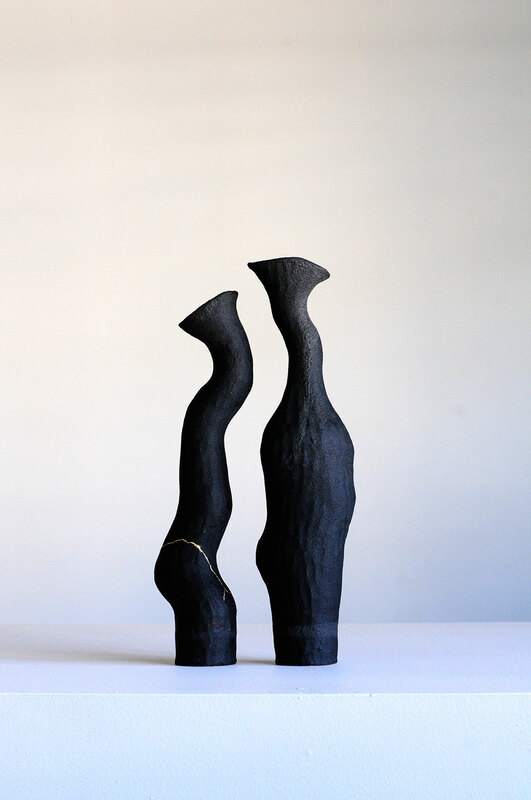 Focused particularly on the sinuous movements and unlikely angles of Ingrid’s tree forms in soft charcoal blacks, starkly contrasted by the use of bright copper and rich ochre reds”. inaugural Little Things Art Prize. 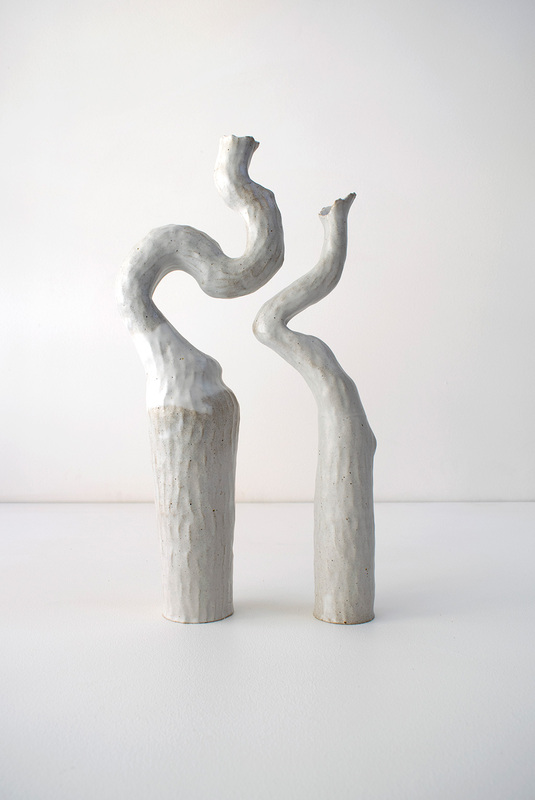 She has since exhibited at Saint Cloche Gallery Paddington as part of “Elements,” “Gradient,” and “Common Ground,” followed by her most recent solo “Understory” in August 2018. 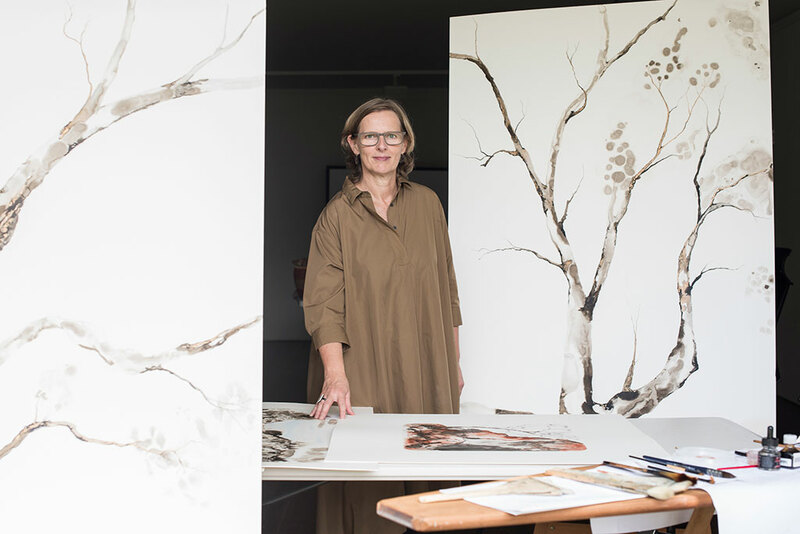 Ingrid has been a finalist in various art prizes and works with country and regional galleries, exhibiting in solo and group curated exhibitions. She practises from a studio at Eramboo Artist Environment in Terrey Hills and participates in various community art projects and facilitates workshops. Kerryn is based in Adelaide, SA. 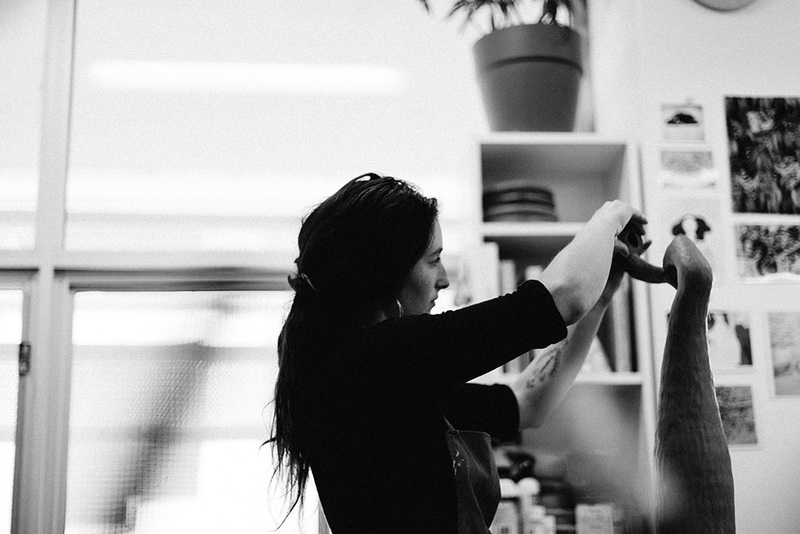 Having studied a Bachelor of Visual Arts at UniSA (2014) and completed the Associate Training Program at JamFactory Contemporary Craft and Design (2018), Kerryn continues to practice out of her studio at the JamFactory.